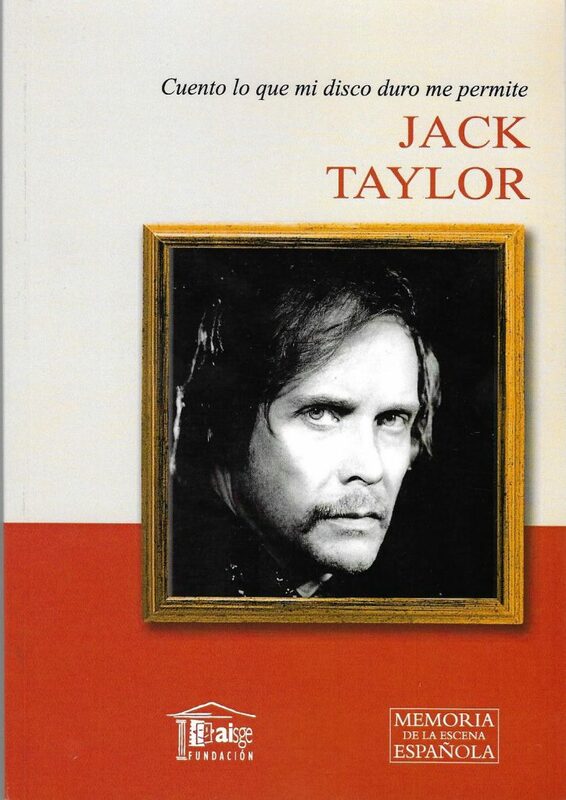 CUENTO LO QUE MI DISCO DURO ME PERMITE is Jack Taylor autobiography published by AISGE – a Foundation dedicated to actors. In this book, only available in Spanish, the actor looks at his life since his early childhood till nowadays. The story begins in his family ranch where he spent his early years and he tells about what made him move to Hollywood. It is amazing to read how he met some golden age cinema stars and how much he learnt from them. Obviously, this will have a great influence in his following works. Then, we get all the story of the Mexican times and how he traveled to Spain to stay. He lists and comments almost all films he has worked on but special emphasis is made on Jess Franco’s Succubus, El Buque Maldito (aka The Ghost Galleon),Victor Matellano’s WAX and Eugenio Mira’s projects and friendship. They met for THE BIRTHDAY and they have been together since then, even Mira is the one in charge of the beautiful foreword. From this we get to know the career of one of our classic actors, I would say Spanish cinema, but the truth is that he has worked for many countries that it is impossible to choose just one, he belongs worldwide, and we got a complete image of what an actor life is like. All time he is full of modesty, totally sincere and does not show his greatness off. Anyways, I miss some personal life information but, yes, I am aware this is a book about acting… However, I love the fact that some rare pictures are included. I wish this was released in English or that all of you could Spanish because it is an absolutely must if you love cinema.